Donald Trump has begun to limit his cable television appearances to media considered “friendly,” such as Fox News, and is moving away from giving interviews to channels considered hostile, such as CNN and MSNBC. The move comes despite the success Trump has had in the primaries in part by his frequent media appearances.
.@CNN is all negative when it comes to me. I don’t watch it anymore. 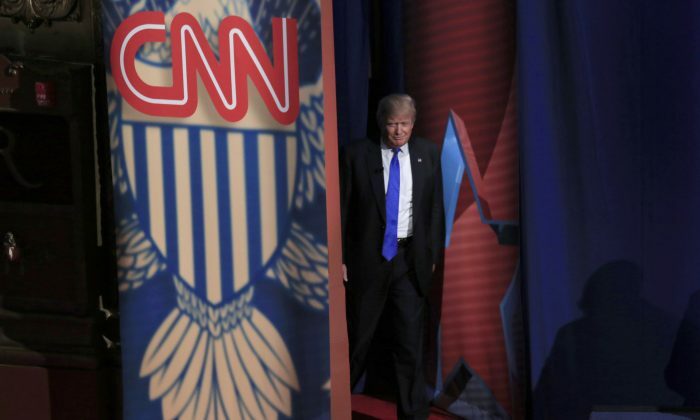 The last time Trump appeared on CNN was on June 13, a week before his former Campaign Manager Corey Lewandowski joined CNN as a political commentator. Trump has also had feuds with Joe Scarborough, host of “Morning Joe” on MSNBC. The two—Trump and Scarborough—used to be on friendly terms, and Trump was a regular caller on the show. Donald Trump has had similar hostilities with Fox News and anchor Megyn Kelly, which led to Trump skipping one of the Republican debates during the primaries. Trump has since smoothed over those hostilities, and gave an exclusive interview to Kelly in Trump Tower in May.